After a long and rocky road, stem cell technology is finally starting to shine. But stem cells’ newfound reputation as a miracle curative has enabled irresponsible actors and prompted regulation that may set the field back. 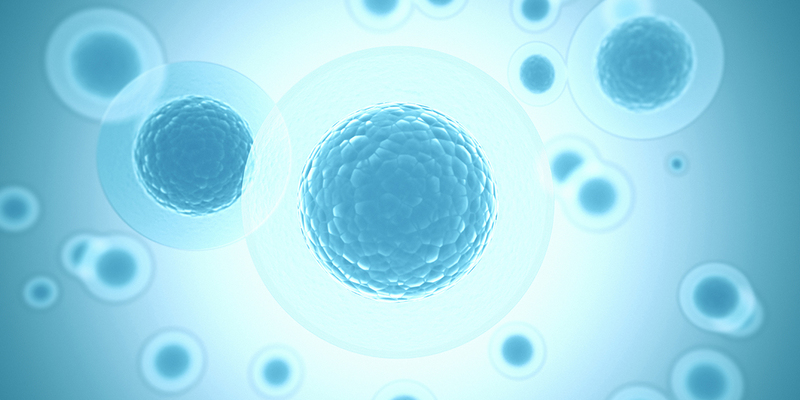 Stem cells have endured a turbulent existence over the past four decades. From the early days when controversial research with embryo-derived cells was widely obstructed, to the scandal over the fabricated discovery of cloned stem cell, the field had an undeniably rough start in the biotech sphere. But with the discovery of iPSCs, two Nobel prizes within five years, and the lifting of regulatory restrictions on research around the world, stem cells have made a miraculous comeback both in terms of application and public relations. Stem cells are finally starting to break free of the baggage of their past and demonstrate their true power. The field has come so far, in fact, that one need not look beyond the headlines in popular media to see stem cells, once an ethically tenuous pipe dream, making a very real mark on human medicine. Take the recent news that injections of mesenchymal precursor cells can deliver lasting relief of chronic lower back pain for patients with disc degeneration. While stem cells have been previously used to repair disc damage in animal models, testing has only recently begun in humans and is showing promising results. Now, there’s hope that stem cells might be a key part of the solution to the U.S.’s worsening opioid addiction epidemic (recently dubbed a public health emergency) since chronic back pain is the underlying indication for a significant fraction of opioid prescriptions. Then there was the widely-publicized case study of the seven-year-old boy with junctional epidermolysis bullosa, who was on the verge of entering palliative care when he was saved by his own stem cells. Physicians isolated samples of his epidermal stem cells, genetically altered them with a retrovirus to overcome the disease-causing mutations, and then grew transplantable sheets of new skin. After two years, the boy has been completely cured of a condition that would have otherwise been fatal. The study speaks to the growing convergence of developments in stem cell tech with new gene editing techniques. Even more recently, news broke that retinal epithelial cells derived from embryonic stem cells have been deemed safe for injection into the retina after undergoing clinical trials. Soon researchers will move on to determine whether the procedure is effective at improving vision and preventing age-related blindness. In fact, many groups are making progress on developing stem cell-based cures for diseases of the eye, which is a site presents fewer obstacles than some other parts of the body. Without a doubt, the way that stem cells have begun to prove their worth is thrilling. It has contributed to the 180-degree swing in the public perception of stem cells as a controversial tool based on shaky evidence to a potential miracle cure-all. But in some ways stem cells’ PR comeback is turning out to be dangerous for the field. For years some private companies have been riding stem cells’ newfound reputation to an unsavory profit. In the U.S. alone, hundreds of clinics have been charging patients thousands of dollars to participate in alleged clinical trials of stem cell treatments that have not been reviewed by the FDA or funded by the NIH. The notoriety of this corner of the industry came to a peak earlier this year when outlets publicized the case of three women who suffered permanent eye damage (one even going blind) after paying $5,000 for an experimental injection of stem cells intended to treat their macular degeneration. As a result of the story, off-the-books stem cell clinics not only found themselves in the scornful public spotlight but also under unprecedented scrutiny from the FDA, whose modus operandi had previously allowed stem cell treatments to skirt typical drug approval procedures. A rethinking was inspired, and last month the agency published new guidelines for the oversight of all stem cell research. While it is hoped that these guidelines will reduce the number of irresponsible actors in the stem cell space, some have argued that they are too restrictive and will drag down a promising technology that is only just starting to come into its own. Such is the story of how stem cells find themselves once again in the regulatory trenches. The field survived its initial bad publicity only to make a comeback so phenomenal that it has landed them once again on the cusp of danger. We can only hope that, this time, the pendulum stops swinging at the point where stem cells are treated, by researchers, regulators, and the public alike, with the proper balance of responsibility and interest. Only time will tell if the FDA’s new guidelines will achieve this.